We are very excited to announce the launching of a new leadership program this year. 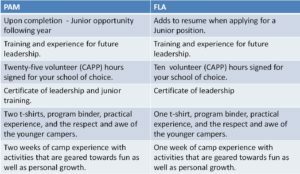 Formation des Leaders Adolescent (FLA) is very similar to the old P.A.M program in that it will provide training and experience in being a camp counselor, but with some important differences. 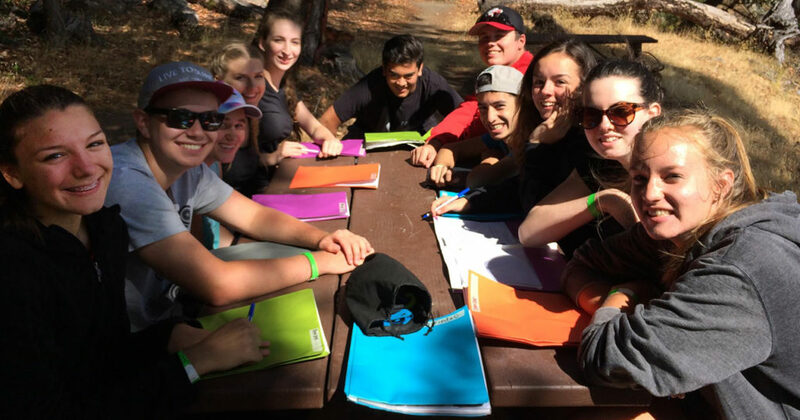 Where P.A.M. was focused on creating Junior French camp counselors by focusing on leadership skills related to BCFFC activities, FLA will focus on general and specific leadership skills needed for employment. 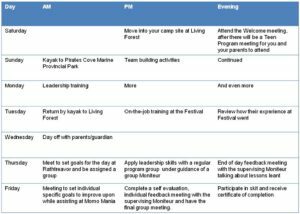 If the FLA graduate is successful in getting a job as a Junior Moniteur, then BCFFC program specific skills will be taught during the pre-camp training week. With the removal of BCFFC specific skills we are able to reduce the program to one week. 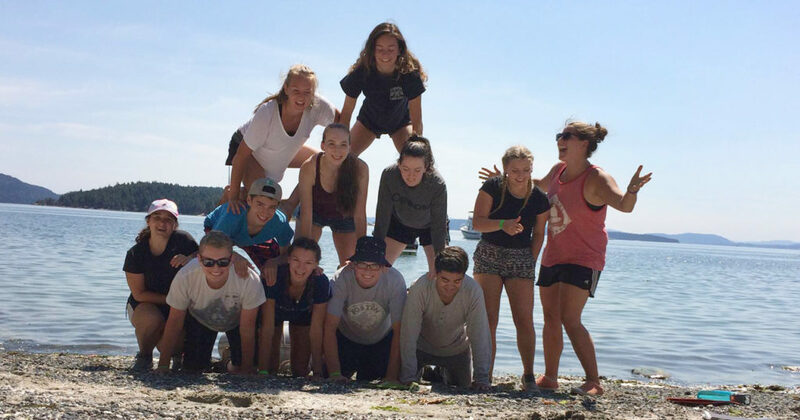 This means for 2019, the FLA program will be offered both weeks of Vancouver Island camp to a limited number of teens. What are the benefits of completing the FLA.? Training and experience for future leadership. 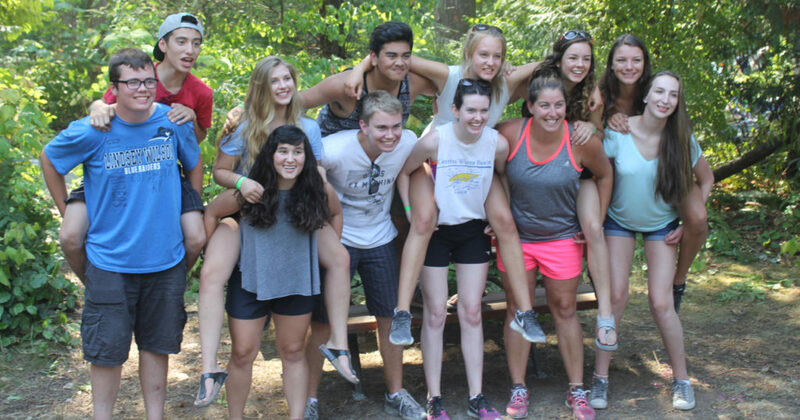 Upon completion and evaluation, you will have both relevant courses and on-the-job experience that will help you get a job as a camp counselor in your community or with BCFFC. Ten volunteer (CAPP) hours signed for your school of choice. Before camp, please speak to your school about how to get these hours accredited. A BCFFC FLA t-shirt, program binder, great experiences and the respect and awe of the younger campers. A week of camp experience with activities geared towards fun as well as personal growth. There will still be kayaking, beach time, crafts and the social interaction you love. At the same time, you will learn practical leadership and life skills. FLA is a one week program where you stay with your parent or guardian on their site while in camp. Enrolment in this program is limited each week to a maximum of 7 participants.